Dave Mullen released a critically acclaimed album “Mahoney’s Way” on RMG that surged on worlwide charts and playlists. The album has been played on 70 radio stations nationally and abroad, including CD 101.9, WBLS, KISSFM in New York and as well as SIRIUS and Worldspace Satellite Radio. He has performed all over the world, most recently in Brazil and South Africa. “Mullen’s sax is urgent, intense, and ultra-expressive….maintains an ever-present sassiness about it throughout the album. The melodies are easy to get your head around, and you can truly appreciate the depth of his experience as he wails through runs that demonstrate his feel and love of what he does. In a word, Mahoney’s Way is definitely worth your time. 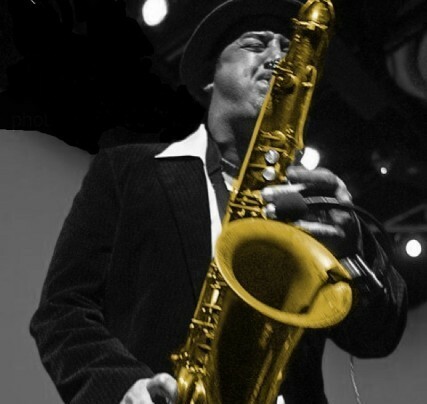 Mahoney’s Way is a refreshing album of fluid, racing sax solos and tight rhythms. …The searing, soaring sax work walks arm-in-arm with the magnificently harmonious backing vocals.The album features such notables as eclectic guitarist/composer Marc Ribot, composer/producer/guitarist Nile Rodgers, drummer/trumpeter Victor Jones, and super bassist Mark Egan. Their contributions place this album in a very comfortable, sure-footed place in contemporary jazz. GingerNewYork can be seen in Manhattan on Time Warner Cable Channel 34, Fios Channel 33, and RCN Channel 82, every Friday afternoon at 2pm EST. It can also be seen live streaming on the Manhattan Neighborhood Network’s website, www.mnn.org, Channel 1. Broderick perhaps better known to many as “The Media CPA” is a fixture on the media circuit. Ms. Broderick appeared regularly for eight years on weekend morning financial segments for WABC Eyewitness News. She has appeared on Good Day New York, WNBC, CNBC, CNN, Fox Business News, Bloomberg, NY1 and WOR Radio discussing tax-related issues. She has interviewed with top financial publications such as The Wall Street Journal, Forbes, and Wealth Manager. Broderick is a faculty member of Queens College/CUNY Continuing Education Program. Broderick obtained a B.S. degree in accounting from St. John’s University in New York City and is a Certified Public Accountant licensed in the State of New York.